A rarely seen exhibit of a Pra Somdej Pim Jiw Sam Chan, Sacred Powder Votive Tablet, from the Wat Prasat Bunyawas 2505-2506 BE Mega Blessing Ceremony, with the Blessings of 234 Master Monks over two ceremonies. This model is a miniature size Pim Jiw, and is preferred exhibit for the presence of 'Kraap Fong Tao Hoo' Mildew from exposure to prayer water spray, and from moisture within the storage chamber, for indeed, some amulets were hidden within Kru chamber after the ceremony, and distributed sporadicaly on speciall occasions. 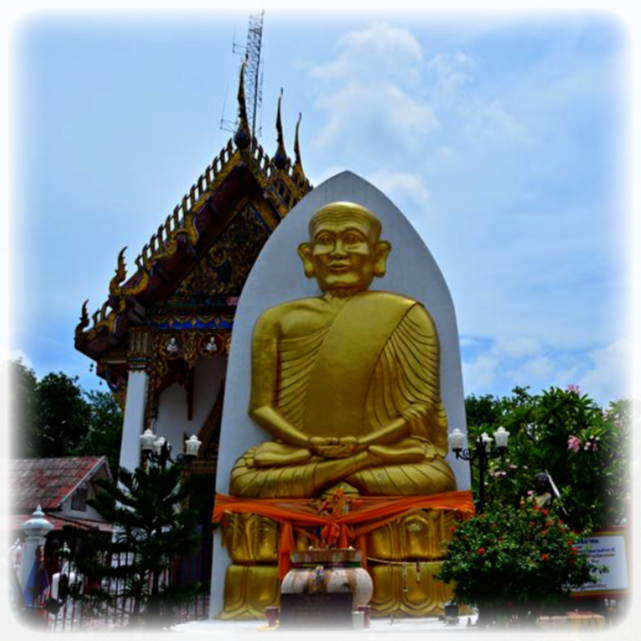 The Pra Somdej is a Sacred Buddha Amulet from the great historical Wat Prasat Bunyawas 2505 BE Ceremony - Nuea Khaw. 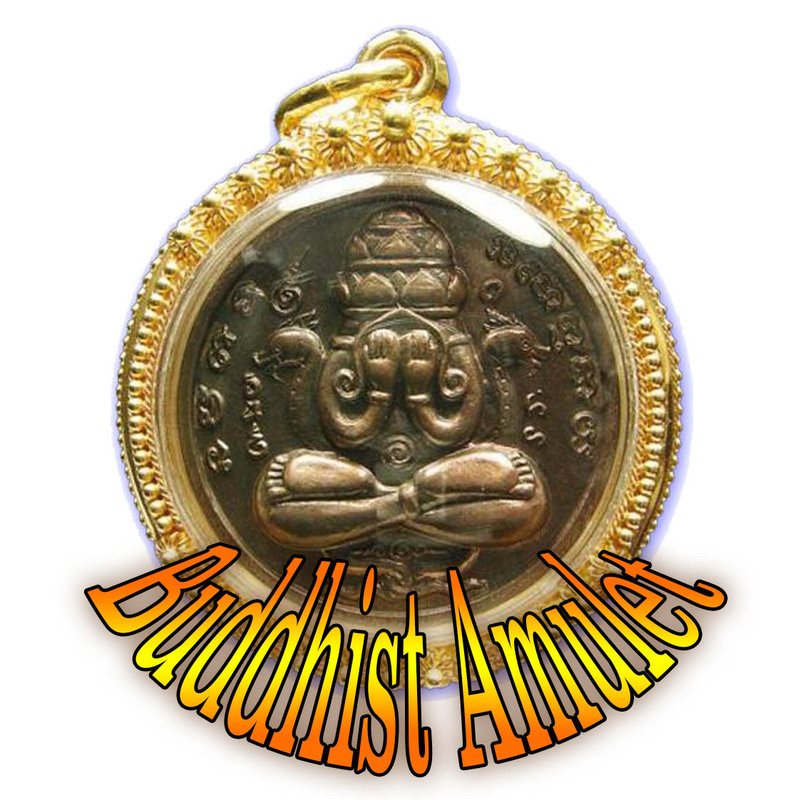 This highly Sacred and extremely rare amulet contains Sacred Muan Sarn and Broken Amulets from first edition 2497 and 2505 BE Luang Phu Tuad Wat Chang Hai Amulets, and a host of other Sacred Powders including Wat Bang Khun Prohm Pra Somdej Amulets. 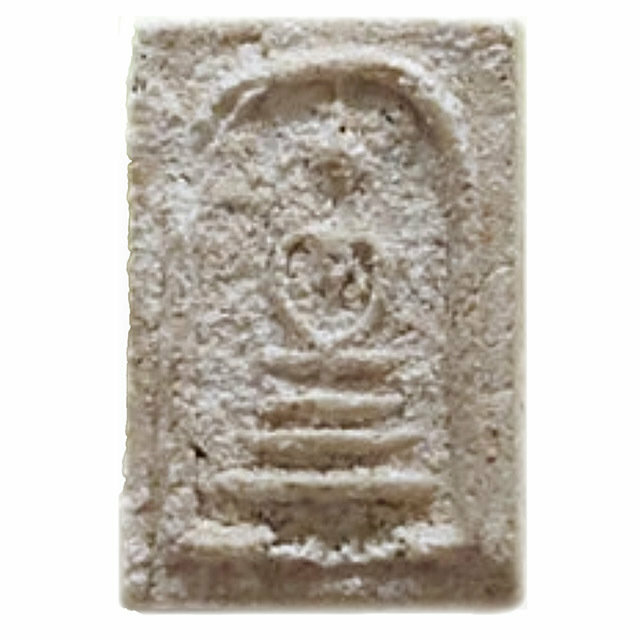 This model is pressed in Nuea Pong Wised, containing 5 kinds of Sacred Yantra Powders and broken amulets from from many Great Temples and Guru Masters. 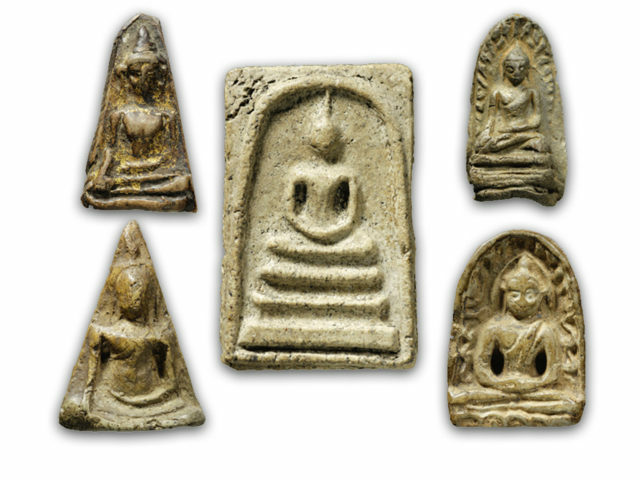 This particular exhibit reveals the aspects of Muan Sarn Sacred Powders of Wat Bang Khun Prohm amulets most clearly.The amulets were Blessed by 234 Great Guru Master Monks in Two Massive Blessing Ceremonies at Wat Prasat Bunyawas. This model is an extremely well kept Pristine Exhibit, with very clear features, and a classic surface sheen, worthy of competition entry.